"SG makes it a top priority to be involved in every aspect of student and campus life at Louisiana State University." You wouldn't even believe all the projects that Student Government has been working on behind the scenes. "... to advocate tirelessly the interests of LSU students by enhancing the student experience, promoting the image of the university and supporting student achievement on the campus and in the community." This year, LSU's Student Government is run by President Stewart Locket, and Vice President Rachel Campbell. These two seem to have a great working relationship and even personal friendship, which makes it easy to see why their campaign has been so successful this year. It's rewarding to see actual differences being made on campus, and we owe thanks to Stewart, Rachel, and their whole cabinet for making real changes. Student Government has put in place ~countless~ policies to fix issues and make the campus more functional; a lot of these you may not even know existed. On multiple levels throughout the university, SG has set initiatives to improve conditions; there have been improvements regarding academics, athletics, mental health, resources and campus accessibility, and student safety/transportation. 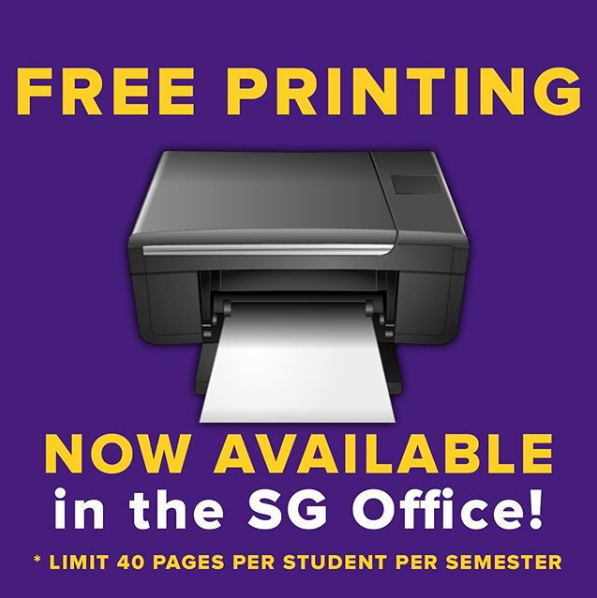 As far as academic changes, SG has set up many helpful tools on campus for students to utilize, including free scantrons, blue books, and printing in the union's Student Government Executive Office. Some plans also set in place starting in Fall 2017 were: student access to digital versions of the New York Times, USA Today, and The Wall Street Journal; the restructuring of the PS-22 Policy to allow more flexibility for students for reasonable excuses (job interviews, grad school visits, etc. ); expanding the use of electronic textbooks to bolster more affordable access; and revising the rules of the "concentrated study period" (dead week) to eliminate graded assignments during this time. In terms of athletics, Student Government partnered with LSU Risk Management to provide water stations all around campus for football season. Also, now students can buy tickets to away football tickets and SG has even sponsored bus trips to attend these games. Playing into the safety and transportation aspect of LSU sporting events, SG has also sponsored post-game shuttles to get students home safely and efficiently after football games. Some other plans set into place by Student Government include: the implementation of Mental Health Week on LSU's campus, where SG partnered with the Student Health Center and LSU Cares to give students and staff resources and emphasize support for mental health concerns; the running of the annual fall concert Groovin'; and the introduction of a 24-hour "coffee shop style" study zone on the first floor of the union during finals. Perhaps the most widely-influential mission set upon by SG was the #GeauxVote initiative, where there was a huge focus on spreading the word about the 2018 midterm election. Student Government set up workshops and pop-up meetings in Free Speech Alley to get people registered to vote. At these pop-ups, students and staff could easily register to vote with help from volunteers, get free pizza and prizes, and download the GeauxVote mobile app for better voting accessibility. It's safe to say that Student Government has been very successful this year in making meaningful differences in our community. We're very lucky to have had such dedicated representation in our midst. 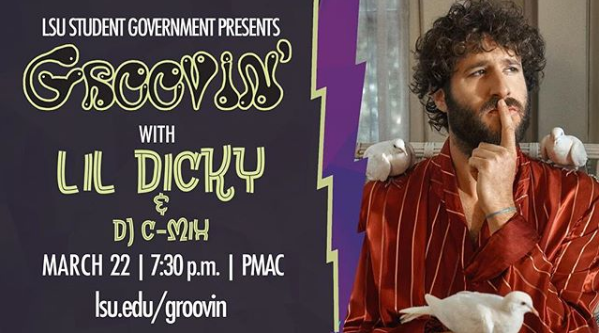 Thanks for all you do, Student Government - you're killing the game. 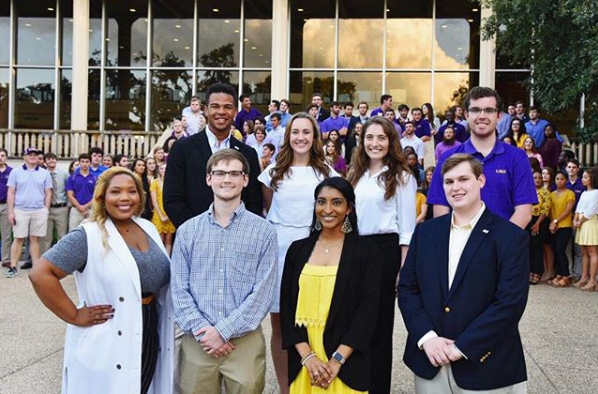 Follow LSU Student Government on social media - Twitter: @LSU_SG and Instagram: @lsu_sg, or click here to visit their website. You know that the CUB is not a baby bear. You’re on the phone with your parents or friends from back home and you tell them that you’re on your way to the CUB. There’s an awkward silence on the other end of the phone. You get responses such as, “You’re going to the WHAT?!”. Having to explain it a million times to 20 different people doesn’t make it any better either. You have a love-hate relationship with the bars in downtown Deland. Everyone knows that when you go to a house or frat party and it gets busted by the cops or public safety, where’s the next place? THE BARS! Whether it’s the Blind Pig, Brickhouse, or Byte, you hate and love them all at the same time. You always say you’re going to stay in for the night but what else is there to do? We all have those friends that go out every single time the chance is presented to them. But, when you’re the only one of your friends to stay in that night, the real question arises – what else is there to do? Those nights out, no matter where you go, will be the memories we all hold near and dear to our hearts. There may be a sense of, “YAY!” because the meal exchange program has expanded at least a little bit. When it really comes down to it though, you still find yourself ordering a cinnamon sugar bagel with maple shmear or a Rocket single every time you go. It seems as if everyone avoids the Commons at all costs and well… we all know why. Whether it’s the chicken that’s not cooked all the way through or rice that isn’t cooked enough, it’s all a balancing act. An act of ‘How much time do I have?’ and ‘Do I really want the same thing that I always get from Johnny Rocket’s and Einstein’s?’. If you’re not one to hit the gym regularly, then good luck with your class on the top floor because it is the ONLY building with no elevator! Not to mention, the stairs to get to that top floor are concave. Stepping on them makes you feel as if you’re going to fall through them like that scene in Alice in Wonderland. While walking to class in the afternoon, you see at least 10 people hammock-ing in Palm Court. Hammock-ing is the best past-time and most fun way to study/do homework so it makes sense that so many people own hammocks. It seems like if you don’t own one then you’re an outcast because just about EVERYONE does it. Also, everybody knows that Eno’s hammocks are the best too. Seeing the same 3 Uber drivers on Thursday-Saturday night. Living on campus is arguably one of the best parts of the ‘college experience’ and so is a night out on the town. Thanks to the 3 regular Uber drivers that Deland has, everybody gets around safely with no accidents. Sometimes these drivers even hang around the outskirts of campus waiting for people to start needing rides. More newly, there’s an Uber driver in Deland that has a LIMO! Be sure to catch a ride with Ricky for the most luxurious ride of your life! You always forget that the coffee shop is closed on Saturday’s. Saturday night may be the night to go out, but Saturday during the day is definitely for homework. The coffee shop being closed only on Saturday’s is extremely inconvenient especially if you’re really craving that iced caramel macchiato with extra caramel drizzle. Who doesn’t want a freshly brewed coffee on a Saturday morning? You always wonder what the underground tunnel from Sampson to the fountain to Elizabeth is like. You’ve most definitely heard about it through the grape-vine and YES, there is a secret tunnel that goes from the ceramics studio in Sampson to the fountain and then to Elizabeth. Maybe you even heard that someone broke into it during the fall 2016 semester and stole a random ceramic statue (not cool, guys). No one can help but imagine what it’s like down there BUT don’t be fooled – public safety goes down there to do their ‘rounds’ so either don’t do it or don’t get caught. Though Stetson has its quirks and downfalls, it’s the little things that make it the best school in the south and none of us would want to be anywhere else.